Now there is the personalized Elmo Christmas ornament that would be an amazing piece of Christmas decoration for your child. 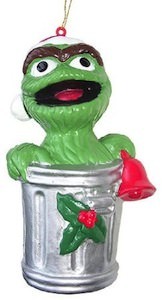 The ornament has a green wreath with a red bow on the top and in the middle, you can see a happy Elmo and he is holding a big present. 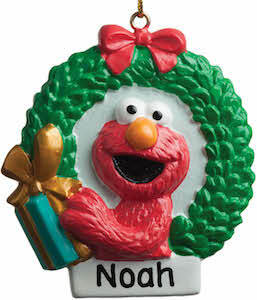 Below Elmo, it will have your child’s name and that will look so amazing in your tree and your kid will be so happy to see Elmo from Sesame Street in the Christmas tree. The personalized ornament can hold a name up to 9 characters and will be one of those keep sake pieces that will look stunning in your tree for many years.